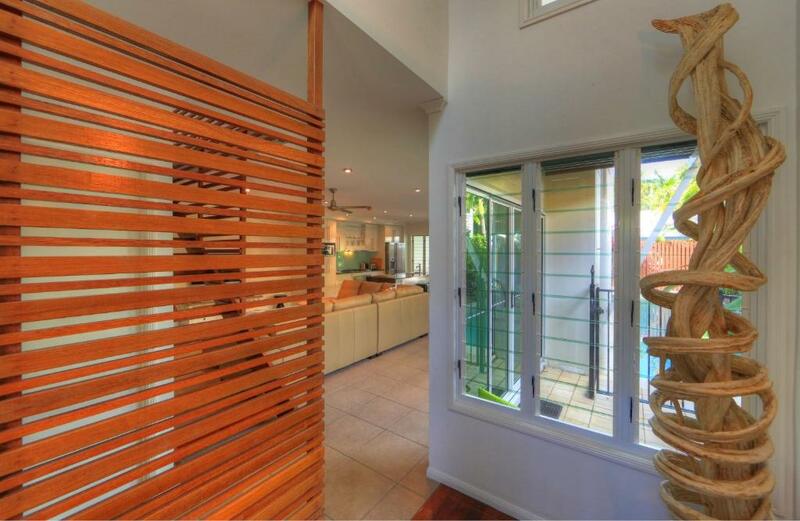 With a private 40 feet outdoor lap pool and a balcony with garden, pool and mountain views Deja Vu Palm Cove is a private luxury beach holiday house. Free parking in a secure garage is included. 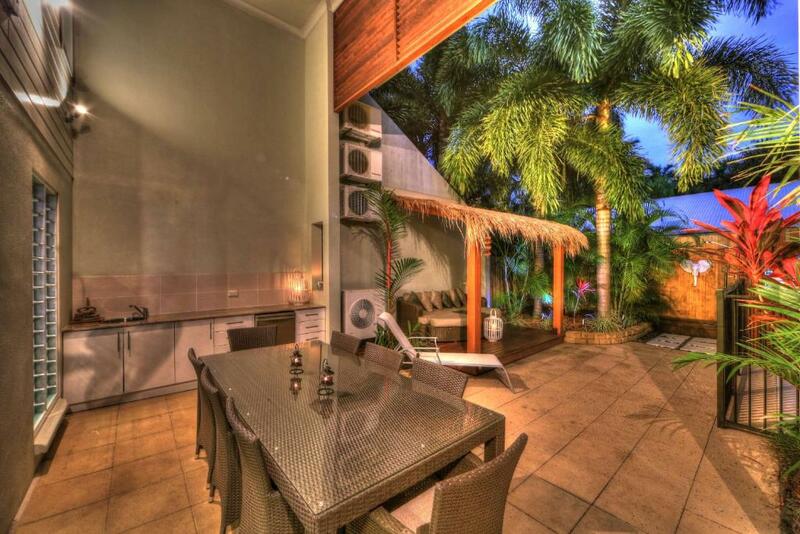 The holiday house features an outdoor entertainment area with a barbecue and a fully equipped kitchen with a dishwasher. It also includes 2.5 bathrooms, laundry facilities and both heating and air-conditioning. If you feel like watching a show or a movie, the modern seating area includes a 50-inch flat-screen TV and a DVD player. 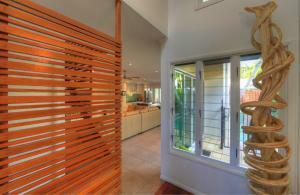 The property is 3 minutes' drive from a local supermarket and shopping center. 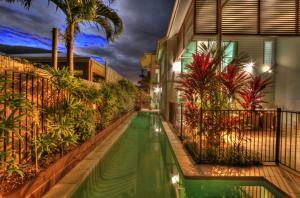 Cairns city center and Cairns International Airport are both a 25 minute drive away. 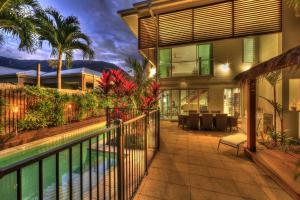 Skyrail or Kuranda Scenic Railway Station is 30 minutes' drive from the property. An airport shuttle can be organized upon request. 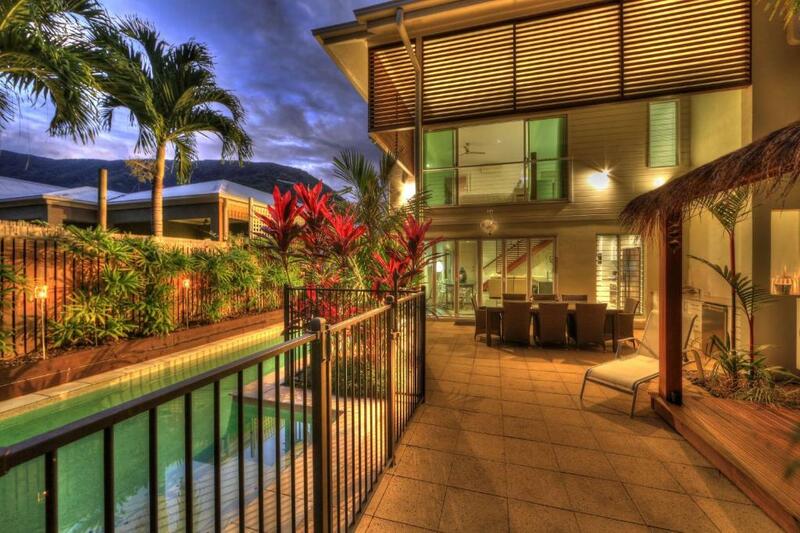 When would you like to stay at Deja Vu Palm Cove? 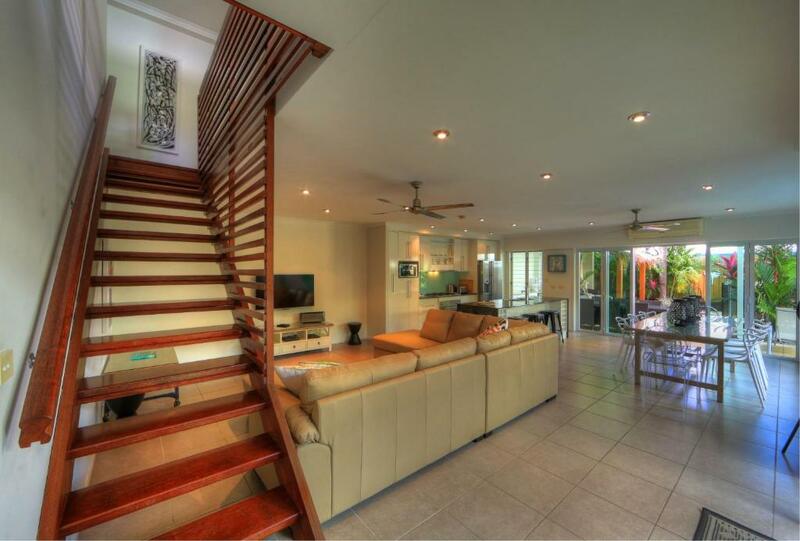 This luxurious villa features a seating area with a 50-inch flat-screen TV and a DVD player. The master bedroom offers a private balcony with lovely mountain and pool views. 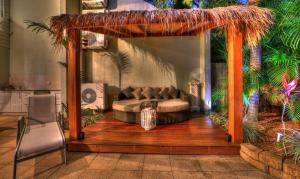 Deja Vu Palm Cove offers service above and beyond. Privately owned and operated providing professional, friendly booking in with local knowledge that excels, nothing is too much trouble for your well deserved holiday. Offering a luxury beach holiday house with private heated lap pool, premium facilities, designer interior, quality kitchen, furnishings & art. Sit back and relax and Robbie will make your stay amazing! 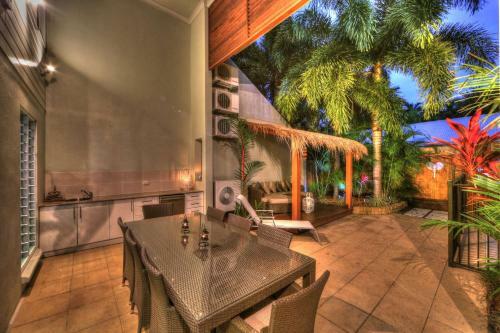 Deja Vu is just a 5 minute walk to the beach, esplanade, shops, restaurants and cafe's in Palm Cove. PERFECT LOCATION!! Fly direct into Cairns, 20 minutes and you are in our pool! 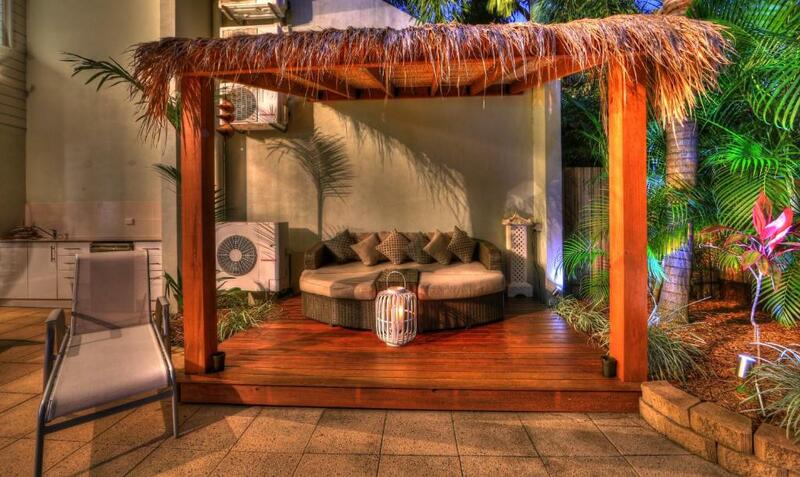 House Rules Deja Vu Palm Cove takes special requests – add in the next step! Deja Vu Palm Cove accepts these cards and reserves the right to temporarily hold an amount prior to arrival. Please note that this property has a strict 'No Party Policy'. There is a penalty fee of at least $200 if complaints are received from neighboring properties. If any unauthorized functions take place, the total of the security deposit will be forfeited and guests may be evicted. 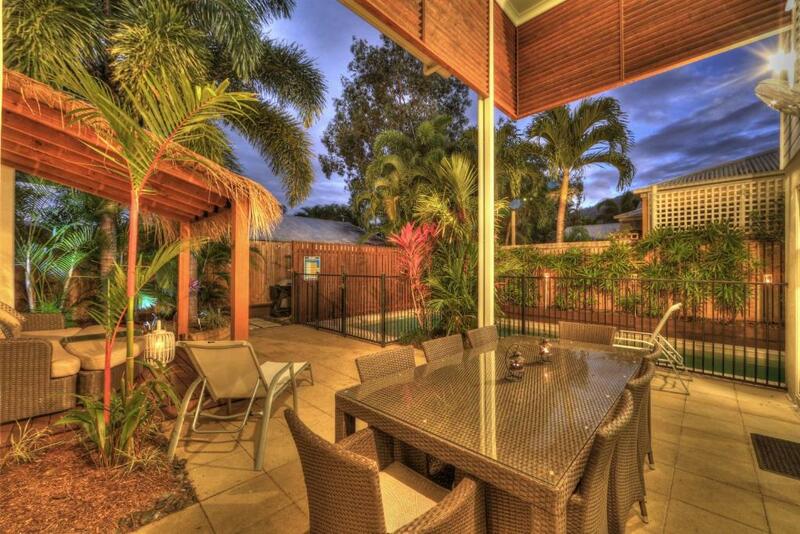 Please inform Déjà vu Palm Cove in advance of your expected arrival time. You can use the Special Requests box when booking, or contact the property directly with the contact details provided in your confirmation. One child under 3 years is charged AUD 20 per person per night for children's cots/cribs. The maximum number of extra /children's cots permitted in a room is 1. 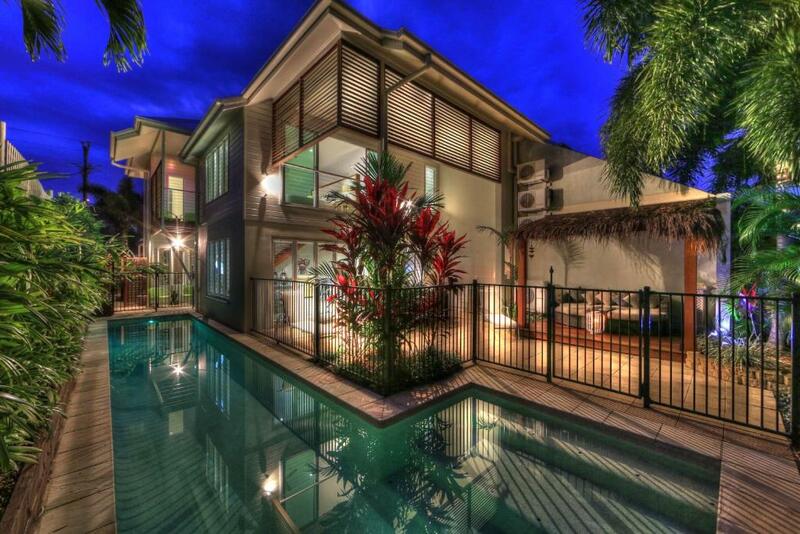 Please inform Deja Vu Palm Cove of your expected arrival time in advance. You can use the Special Requests box when booking, or contact the property directly using the contact details in your confirmation. We need at least 5 reviews before we can calculate a review score. If you book and review your stay, you can help Deja Vu Palm Cove meet this goal. The property was very well appointed (all those little things including sparkling wine and chocolates for my birthday) and our hosts were very attentive and addressed any issues immediately.